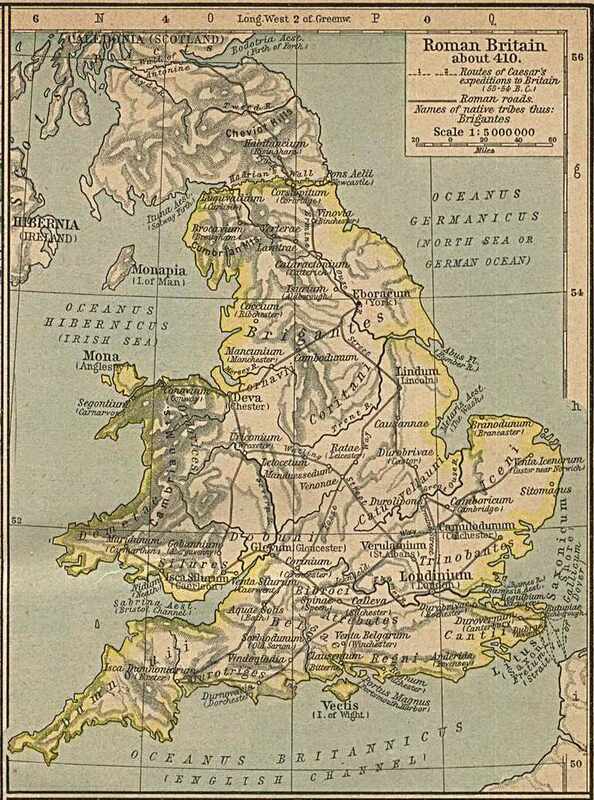 Roman Britain c. 410 A.D. From The Historical Atlas by William R. Shepherd, 1926. This Roman Britain timeline looks at the events in Britain from the time the Romans first invaded it to the aftermath of the departure of Roman troops from Britain, from the time of Julius Caesar through the Roman Emperor Honorius' instruction to the Roman Britons to fend for themselves. c 440-50 A.D. Civil war and famine in Britain; Pictish invasions: Many towns and cities are in ruins. Who Was Merlin and Did He Really Exist? How Did Septimius Severus Come to Power? Who Were the Roman Consuls and How Did They Rule Rome?